With Sage 100 or 100c, you’ll have the foundation you need to provide a better customer experience, increase revenue, and make better informed business decisions. 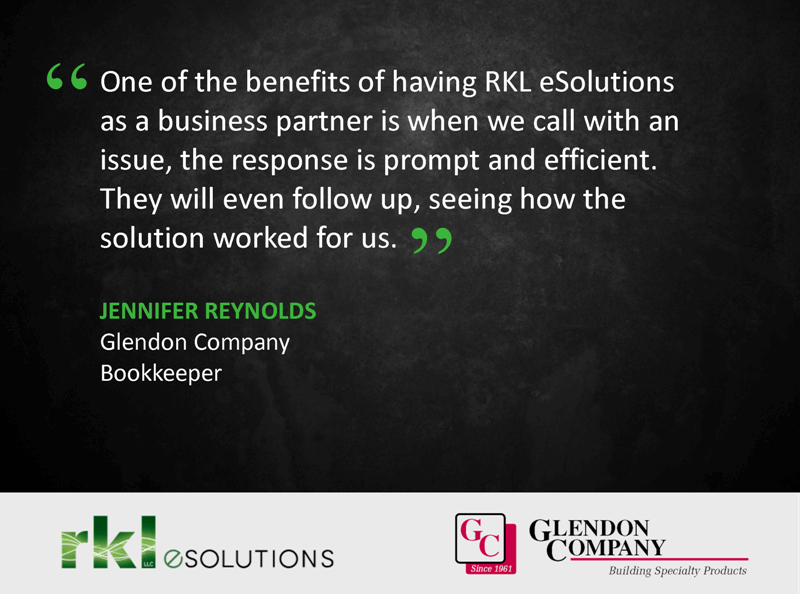 Whether you prefer the classic and familiar look of Windows screens or a more modern interface, there is Sage ERP solution that fits with your business. The new modern graphical interface is now an option for Classic users that have upgraded to version 2017. 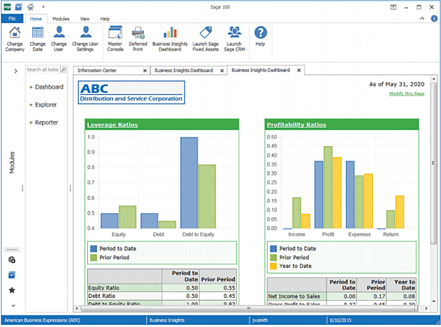 Recommended by more CPAs than any other product in its class and a stalwart in the accounting software industry, Sage 100 Classic (formerly called MAS 90) has led the pack for over 30 years. 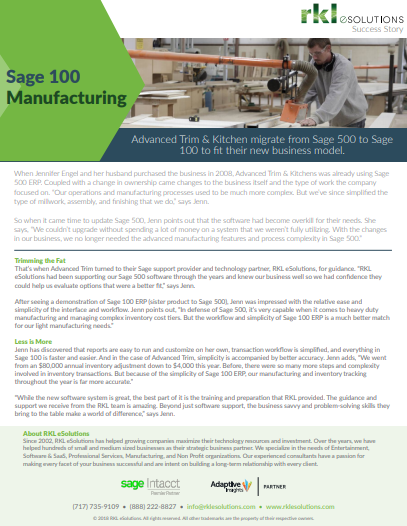 Running in a traditional Windows-based client-server environment, Sage 100 Classic is a cost-effective ERP solution that’s perfect for companies that have outgrown Quickbooks and need more powerful technology to manage more employees, more inventory, more data, and need better reporting. 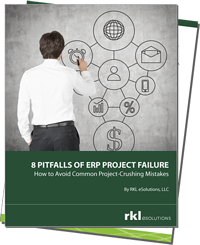 Download a copy of this customer success story to learn why Advanced Trim & Kitchen migrated from Sage 500 ERP and discovered that sometimes, less is more. Leave your name below and one of our Sage 100 Consultants will follow up shortly to answer your questions, provide more product info, or schedule a demo.